I would love to win this one! So cute! Thanks for the chance to win! I love your blog! 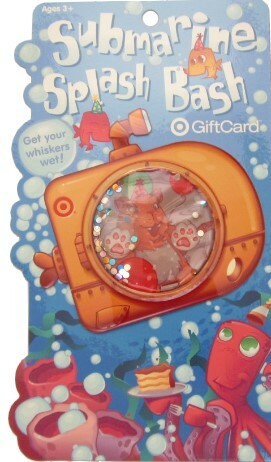 I love Target and could find good uses for the giftcard. I also liked you on FB . thank you! I have “liked” TotallyTarget.com for awhile now! Great giveaway! Thanks for all you do! Love your website!! I check it everyday! I LOVE Totally Target- and alreadt like TT on facebook. I would love to win a giftcard. I can’t let more than 2 days go by without checking your website for Target deals! Just “liked” your FB page…..hadn’t figured out you had one, but look out FB! I love these giveaways – Thanks! I really love this site. Thanks for all the work you put into it. Simply leaving my comment on how much I would love to win. I love target! Thanks for the opportunity to win this! Could have used the.giftcard this afternoon! I love your site, i use it weekly and have saved so much, thanks for all your posts! I follow/like you on FB, thanks! love your giveaways….about as much as I love target! !